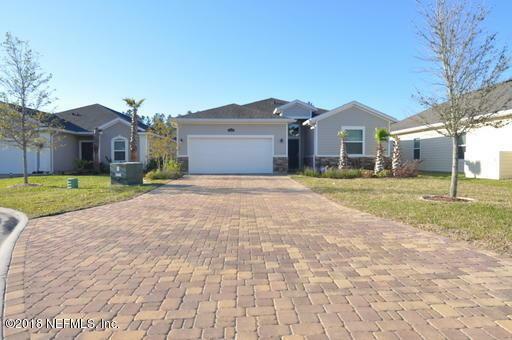 This Lennar Home is the Trevi Floor Plan. It offers tons of space! Beautiful, Upgraded Kitchen with large food prep island with sink overlooking the combined family room and dining room. Two Guest Bedrooms at the front of the house, with a shared bathroom. Third Bedroom with full bath is off of the entry way. HUGE Master is located in the rear of the home. His and Her Closets, two sinks, garden tub, and stand up shower. Screened Lanai out Back; smaller yard- great for easy maintenance! This home has solar panel features which will keep you utility bills LOW! Amazing Newer Community with tons of amenities! Come see today!